Accidents happen. And even though we are vigilant about not getting burnt, sometimes we need a homemade sunburn remedy to sooth burned skin. Sunblocks and sunscreens have a lot of toxic chemicals in them. There are some ok brands out there though, or you can make your own. I’ve put together 4 Homemade Sunscreen Recipes, so definitely check them out and the research that was done on the ingredients of sunscreens. The other day I was not paying attention to how long my kids were playing outside and they did not have homemade sunscreen on and got sunburns. I needed to reference my Homemade Sunburn Remedies so I could make sure they healed quickly and efficiently. Below are Recipes for baths, spray bottles and lotions. Use whichever one best fits your family. Fill a tub with mild water (as cool as feels good) and add a cup of baking soda. Baking soda returns the skin’s pH to normal and acts as a great neutralizer. This bath will cool the skin down and allow for it to ‘breathe’ a bit, lowering the temperature naturally. You may want to rinse the baking soda off when you are finished, but I usually find this unnecessary. Similar to baking soda, oatmeal is a neutralizer and is awesome for sensitive and damaged skin. I would grind it in a blender or put it in a cheesecloth so you do not clog the drain. Yogurt from the fridge is very cool and soothing. You can spread it on with your fingers or dip a soft cloth into the yogurt to spread onto your burn. You can also make a mixture of yogurt with a few drops of lavender oil and/or aloe vera. Vinegar will also sooth the skin and it helps to balance the ph of the skin. You can make a vinegar bath, adding 1 cup of vinegar for every 3 inches of bath water. Or simply rub some vinegar directly onto the burned skin. Chamomile is calming and very healing to the skin. You can add chamomile flowers to a hot bath, let the bath cool as much as is comfortable and then lie in the lavender bath. You can also make a chamomile tea brewed strong, let it cool, then “paint” it onto the burned area with a soft cloth. Directions: Pour the aloe vera juice into a spray bottle and add lavender essential oil. Shake well. Store in the refrigerator for the season. Mist onto any sunburn and you don’t have to touch it. Directions: Brew tea and let cool. 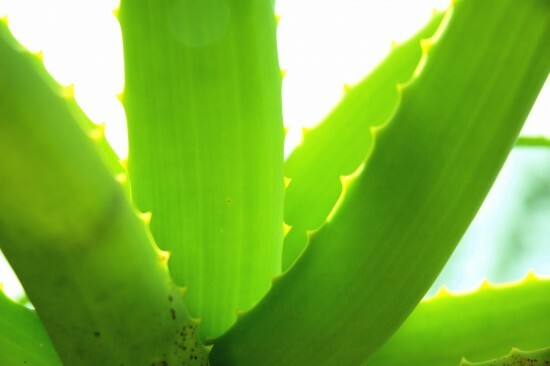 Add aloe vera and essential oil and pour into a spray bottle. Mist onto sunburn when needed. Store in the refrigerator for the season. Directions: Add all of the ingredients to your hot bath water and allow to cool as much as is comfortable. Soak for at least 15 minutes. Another remedy is ACV soaked in a brown paper bag and place on skin and it gets the burn out of your skin. Have used it for years on the kiddos. As in Apple Cider Vinegar?